According to the experts at FEMA if you don't take the proper precautions your family may be at risk of very serious health problems from mold in your Ft Lauderdale area home. The U.S. Department of Homeland Security offers the following safety tip to prepare your home for a flood and what do to if one does occur. When you think about Weston flood damage to a home or condo, Mother Nature is likely your first guess as the cause. While our Weston torrential summer rains and the exposure to tropical storms and hurricanes is a real threat, most water damage that requires the services of a Weston water removal company are caused by household appliances and are avoidable with proper maintenance. 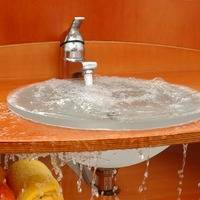 If you have flood damage in your Pompano home and you are looking for a Pompano water removal service you need to act fast. The longer water remains standing the greater the damage to walls, ceilings, flooring and other property will be plus the greater the odds of mold forming. You need to call now. Of course we would recommend that you call our 24/7 emergency dispatch number and have a trained crew at your home within an hour, but whoever you decide on they need to be able to get to you quickly. Every building in South Florida is vulnerable to mold thanks to the thousands of mold spore species that float in through windows or enter into your home on shoes or on pets. Mold left unattended can create health issues for you and your family. It can also devalue your home. No space can be made completely mold proof but you can take some simple steps to help make it more mold resistant. Mold removal is an experience that almost every Ft. Lauderdale homeowner will go through at least once. Ft. Lauderdale and all of South Florida is the home of an incredible number of mold species and at any given time you have mold spores in your home. They come in through windows, shoes, your clothes and even your pet's paws. The best defense is regular dusting and vacuuming. Conventional wisdom would say that most of the water damage removal done in Weston would be caused by South Florida's tropical climate. It's true damage does occur due to Weston's torrential summer rains, tropical storms and occasional hurricanes but the fact is most Weston water damage removal projects are caused by water sources inside the home. The professionals at All Florida Restoration have been providing mold removal to Davie homeowners and businesses for over two decades. Every structure in Southern Florida is exceptionally susceptible to mold formation thanks to the thousands of mold sore species that float in through windows, hop a ride on our shoes (or paws) or even arrive on the outside of our mail. In a tropical climate like we have here in Boca Raton mold is always an issue for both homes and businesses. Besides being unsightly mold can cause serious health conditions as well as damage the interior and exterior of your home. If there is a hurricane warning you should take all of the proper precautions to protect your family before you do anything else. But once that is in place you can have a plan to mitigate the hurricane damage to your home as well. Here are a few tips to help lessen the potential damage. 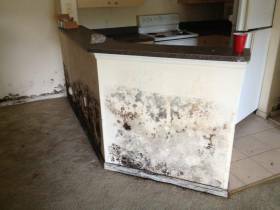 In Deerfield Beach Florida mold removal, is major issue for home owners. Mold can cause number of serious health conditions as well as damage the structure of your home. While mold spores can be found everywhere they need moisture to flourish and Deerfield Beach has plenty of that. If you are a Pompano Beach condo owner considering remodeling your kitchen or bathroom but you feel the cost is going to be outside what you have budgeted, the area's leading remodeling and restoration company, All Florida, has some tips you can use to stretch your remodeling dollar. Bathroom and kitchen upgrades don't have to be pull down the walls and rip up the floor affairs. How you go about the project design and the materials used can save you a nice chunk of change. You already know you want to remodel the bath or kitchen in your Deerfield Beach home but you are also interested in getting the biggest bang for your buck in terms of ROI. Remodeling bathrooms and kitchens have consistently ranked in the top 5 highest ROI projects a homeowner can invest in. If you have decided it's time for a kitchen remodeling or bath remodeling for your Pompano home congratulations. You have selected the two home improvement projects that are consistently rated among the top 10 of projects with the highest ROI. Not only are you going to enjoy a better quality of life but you will be adding to the value of your home as well. Do you suspect there is mold in your Margate home or business? Often the first hint that a mold colony exists is the "moldy" smell that it gives off. If you have that scent in your home, or you have family members coming down with allergy symptoms it's time to ferret out the mold colony and restore your Margate home to its original condition. If you have a moldy smell in a part of your Delray home you most likely have a mold colony lurking somewhere. Don't be shocked. Florida's climate is ideal for mold and the air always has spores wafting along ready to be picked up on clothing, shoes, pets or even drifting through an open door. Spores however, are not mold and won't become mold unless they land in an area that has moisture. Mold Removal in Your Deerfield Beach Home? Like most Florida homeowners those who live in in Deerfield Beach are going to have to face the problem of mold removal at some point in time. South Florida is just the perfect climate for mold and given the "extra opportunities" for moisture to find its way into our homes via tropical storms and hurricanes it's almost a foregone conclusion that mold will form sooner or later. Statistics show that for many homes in Margate, mold removal will become a very real concern. Margate homeowners shouldn't feel like they are being picked on, their neighboring communities are just as likely to be visited by a mold colony simply because…we live in South Florida.